For other people named John Morris, see John Morris (disambiguation). 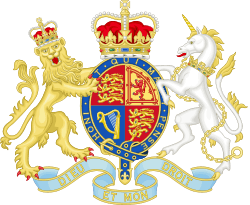 John Morris, Baron Morris of Aberavon, KG PC QC (born 5 November 1931) is a retired British politician. He was a moderate Labour Member of Parliament (MP) from 1959 to 2001 and Secretary of State for Wales from 1974 to 1979. 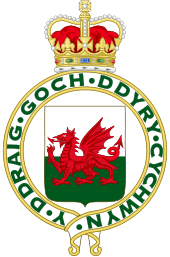 Morris was born in Capel Bangor, Aberystwyth in the County of Ceredigion. He was educated at Ardwyn School, the University College of Wales, Aberystwyth and Gonville and Caius College, Cambridge. Morris was a barrister and was called to the Bar by Gray's Inn in 1954. He practised at 2 Bedford Row Chambers, took silk in 1973 and was made a Bencher of Gray's Inn in 1984. Between 1982 and 1997 Morris was a Recorder of the Crown Court. He represented Aberavon as its Labour MP from 1959 and was the longest serving Welsh MP until his retirement in 2001, when he was succeeded by Hywel Francis. He served as Parliamentary Under-Secretary of State at the Ministry of Power and the Ministry of Transport, and Minister of State at the Ministry of Defence. Having been sworn of the Privy Council in the 1970 Birthday Honours, Morris joined the Cabinet as Secretary of State for Wales between 5 March 1974 and 4 May 1979 and returned to Government as the Attorney General for England and Wales and Northern Ireland between 1997 and 1999, having shadowed the role since 1983. As such, he was one of only a small handful of Labour ministers to hold office under Harold Wilson, James Callaghan and Tony Blair. Lord Morris has been Chancellor of the University of South Wales since its formation in 2013. The University of South Wales was formed by a merger between University of Glamorgan (where Lord Morris was Chancellor since 2002) and the University of Wales, Newport. He succeeded fellow Labour politician Lord Merlyn-Rees as the Chancellor for the University of Glamorgan. Lord Morris was President of the London Welsh Trust, which runs the London Welsh Centre, Gray's Inn Road, from 2001 until 2008. He is also a council member of The Prince's Trust. 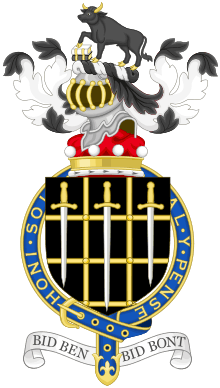 He was raised to the peerage for life as Baron Morris of Aberavon, of Aberavon in the County of West Glamorgan and of Ceredigion in the County of Dyfed in the 2001 Dissolution Honours, was made Lord Lieutenant of Dyfed a year later and was appointed to the Order of the Garter as a Knight Companion (KG) in 2003. A bull passant Sable armed and unguled Or with a palewise book Argent upon other Sable. Sable a Portcullis Or, over all three swords palewise proper headed Or. 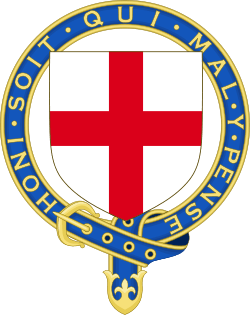 The Order of the Garter circlet. ↑ The London Gazette: (Supplement) no. 45117. p. 6365. 5 June 1970. ↑ "Our Former Presidents: London Welsh Centre". London Welsh Centre website. London Welsh Centre. 2010. Retrieved 4 February 2011. ↑ The London Gazette: no. 56266. p. 7999. 6 July 2001. ↑ The Edinburgh Gazette: no. 25044. p. 1528. 6 July 2001. ↑ The London Gazette: no. 56787. p. 15392. 19 December 2002. ↑ The London Gazette: no. 56915. p. 5017. 23 April 2003.